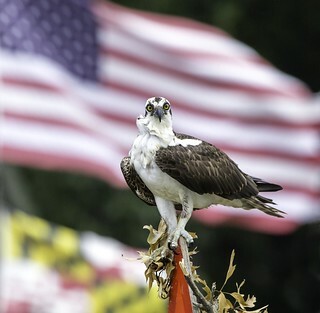 In honor of Veterans Day, Governor Larry Hogan announced today that all military veterans, including residents and nonresidents, will be granted free admission and entrance to the network of 72 state parks managed by the Maryland Park Service. The governor’s announcement directly impacts over 414,000 veterans living in Maryland with the highest concentrations residing in Prince George’s, Anne Arundel, Baltimore and Montgomery counties, and Baltimore City, and the region’s more than 1.4 million veterans. Effective immediately, the governor’s announcement will eliminate park admission fees for all veterans at every single state park, including Assateague State Park in Worcester County, Deep Creek Lake State Park in Garrett County, Point Lookout State Park in St. Mary’s County, and Sandy Point State Park in Anne Arundel County. Free day-use park admission is already provided to active duty military personnel and members of the Maryland National Guard. The Maryland Department of Natural Resources offers several initiatives, programs, and special rates for active duty service members, military veterans, prisoners of war and Purple Heart recipients. The department partners with veteran service organizations, such as the Greenwell Foundation, and provides servicemen and women with unique opportunities to boat, fish, and hunt throughout the state.